In the past week, Elizabeth II marked the 63rd anniversary of her accession - the last time the occasion will pass before she takes the record for longest reigning monarch in British history. But it was business as usual for the Queen as her Christmas holidays came to an end. In fact it was a very businesslike week all round for the royal families of Europe and here's how they shared their seven days on their official social media channels. On the brink of history The Queen usually leaves Sandringham after the anniversary of her accession which falls on February 6th. She marks the day privately - it is, after all, the anniversary of the death of her beloved father, George VI. 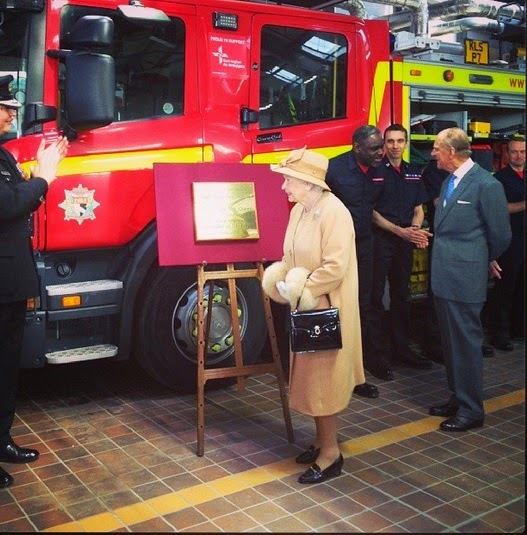 But around this time every year the Queen takes on an engagement in Norfolk and this week was no different - the British Monarchy Instagram account shared a photo of her visit to South Lynn Fire and Rescue Service.